The Vollrath 30022 Super Pan V® full-size hotel pan holds 8.3 quarts to the rim. Each of the strong corners is designed to simplify pouring. The smooth curves make it easy to remove all the product from the interior, enabling it to be cleaned easily. 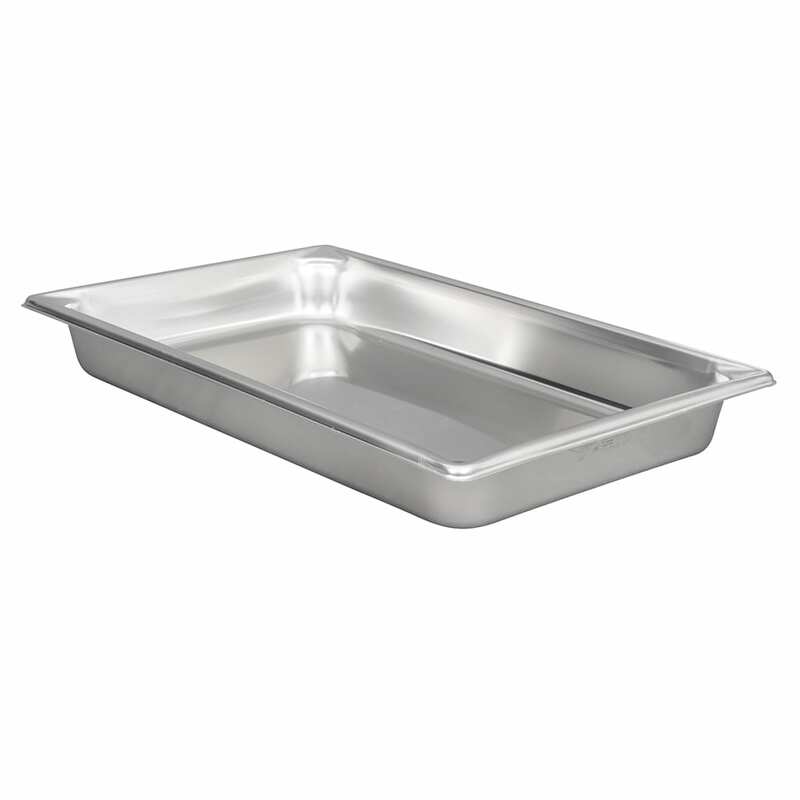 This Vollrath 30022 Super Pan V full-size food pan is made of stainless steel to provide corrosion, dent, and scratch resistance. It has a bright finish that is perfect for customer-facing applications. "This pan is very impressive. 20-gauge, heavy duty is substantial for daily use and the finish is handsome." Top Quality Transport Pan is Perfect For Our Church.